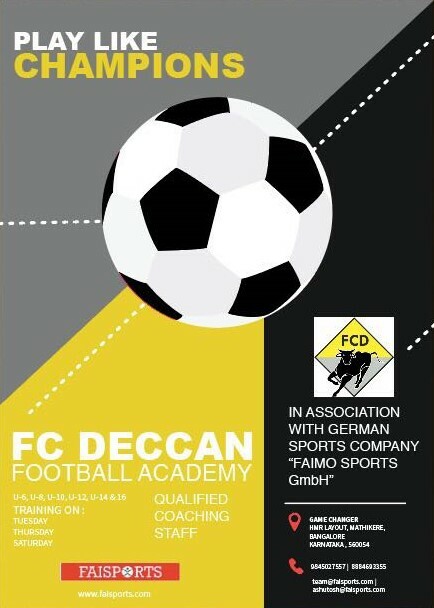 FCD Soccer Schools is a football youth academy based in Bangalore, Karnataka from where the organisation manages youth teams (Ages 6 – 18). 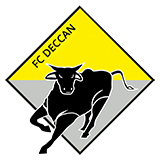 The academy is the primary youth clinic of FC Deccan. We are an upcoming professional club in Bengaluru and we see of lot of talent in the city. The goal of FCD Soccer Schools is to transform talented young players into top football players who will part of the club. Only the very best will reach the top and the training of players takes centre stage. FCD Soccer Schools has developed training module to which is at par with the European style of playing with our partners "faimo Sports GmbH". FCD coaches are equipped to train an advanced curriculum with latest training techniques specially designed for all age groups. The Soccer Schools form the base of the pyramid with students learning all the fundamental skills necessary to make the cut to the fully funded BFC youth academy.